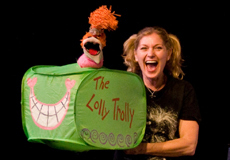 Sesame Street performer Leslie Carrara-Rudolph (Abby-Cadabby) is performing “Wake Up Your Weird With Lolly & Leslie” at The Center for Puppetry Arts in downtown Atlanta, GA from September 16-26, 2010. From the Emmy nominated performer of Sesame Street’s Abby Cadabby! Tickets are available via PUPPET.ORG. The Center for Puppetry Arts hosted the following Twitter interview @CtrPuppetryArts with Leslie on September 15th between 2 and 3 pm (EST). Fans were asked in advance to submit their questions via Twitter by tagging them with #LeslieChat. 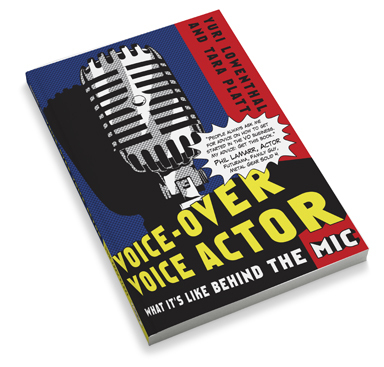 Thanks to @CtrPuppetryArts for permission to host the archive of the interview here on Voice Actors in the News. Moderator @CtrPuppetryArts and fan-submitted questions are in italics, with Leslie’s answers in bold. 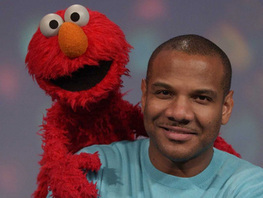 30 minutes until our Twitter Chat with Sesame Street performer, Leslie Carrara-Rudolph. Hi Puppet Fans! Leslie will be joining us soon. Going to get started in just a few minutes! 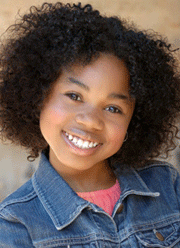 She is also the Emmy nominated performer of Sesame Street’s Abby Cadabby!! Welcome, Leslie! Thank you so much for joining us today! Before we get to questions– What else should our followers know about you? They should know that I just ate a Varsity hamburger and slawdog and a homemade pumpkin chocolate cookie. They should know that I’m from Northern California, and am mostly based in NY, but still have a place in Glendale (Southern CA). My husband, Paul Rudolph, got a job on Sesame Street as the vocal director, so he lives in NY with me & our deaf & blind bishon. Q#1 What is your routine to combat puppeteer shoulder? A: Stretching, push-ups (to be physically even). My right arm is steel and left can turn to veal! And swimming! Q#2 What was your career path before Sesame Street? Was performing on Sesame Street always a dream/goal of yours? A: My dream was to be the ultimate entertainer for kids & to have my own kids show one day. A: (con’t) I even designed my own major to do it! A: I wanted to work with kids at risk. My goal was to be a special ed teacher and to perform! Thanks, @katiecofield for that question! Q#3 What kind candy does Lolly plan on sampling while in Atlanta? Did the Comedy Beaver join her on this trip? A: Every kind of candy! She’s upset we skipped Cracker Barrel. Check out her [Facebook] fan page– Lolly Lardpop. A: Yes to the Comedy Beaver! Q#4: Leslie, what is your favorite part of your job? A: My point of view. I have the best seat in the house when it comes to watching the children’s faces and how they react! Q#5 As a performer for kids’ shows as well as grown-up fare, how do you define “adult entertainment? Can’t “adult” be clean too? A: My puppets don’t swear or have to be sexual to be funny. A: My adult entertainment is in respect to politics or social issues that aren’t aimed at children. A: When I was in Stuffed and UnStrung, the Henson improv group, I often struggled with some of the content. The audience improv requests were too blue at times for my taste. Thanks to @larabron, @ToasterBoy, @cpillsbury, @smittygirl for your questions! Keep ’em coming! *Pause* Leslie just had to take a call from Elmo. RT @ToasterBoy: Can you explain the significance of Karen (Red Fraggle) Prell’s shoes as they relate to your career? A: Her boots were given to me on the very first day of shooting on the Muppet show, so I could be tall enough next to Frank Oz. RT @lekogirl: @CtrPuppetryArts Do you construct any other puppets on the side for personal projects? A: All of them at first! Then when I can afford it I have a real builder do it. RT @mekidd5: @CtrPuppetryArts Leslie, what is your favorite part of what must be a VERY interesting workday?! A: Too many favorites! At Sesame Street, the whole family, guests, and the children from Make A Wish. Q: Can you tell us more about “Wake Up Your Weird”? A: Wake Up Your Weird is an interactive performance style / workshop that focuses on the voice, the body, and the imagination! Wow! So many questions! We have time for about 2 more! 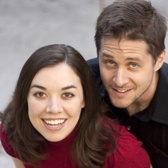 RT @smittygirl: @CtrPuppetryArts Any particular performers who inspired you to be a puppeteer? A: The Muppets, of course! And, Wayland Flowers was brilliant. If Madame and Lambchop had a baby, it would be Lolly! @lekogirl Are you a builder or a performer? RT @lekogirl: @CtrPuppetryArts Any words of wisdom for puppetry students? A: Whatever aspect of puppetry you are doing, always make it about your heart or passion. If you just say that it’s going to be part of your life, the rest will follow! Well, that concludes our Twitter interview! Thank you, Leslie, for taking time out of your busy schedule to be with us today! A big thanks to everyone who participated and listened in! AccessAtlanta also has a review of Leslie’s live show. 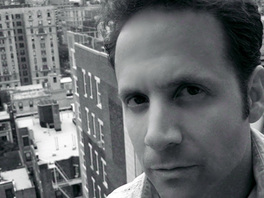 Visit Leslie’s official site at LeslieCarrara-Rudolph.com and be sure to bookmark PUPPET.ORG to keep up with The Center for Puppetry Arts’ recent and upcoming shows, screenings, museum exhibits and other events. They currently have three (THREE!) long-term museum displays related to the work of Jim Henson which are a heartily recommended must-see for all Muppets fans. Guardian.co.uk has a feature article with photos highlighting BBC VO narrators Tom Baker, Dave Lamb, Marcus Bentley, and Michael Buerk. There is no silencing the cacophony of show-stealing narrators on television at the moment. They didn’t use to draw attention to themselves – traditionally, narrators were sombre, quintessentially BBC voices that wouldn’t have sounded out of place commentating on a particularly dispiriting public information film. Now, they’re often the star of the show. You are currently browsing the archives for the Media: Articles and Interviews category.